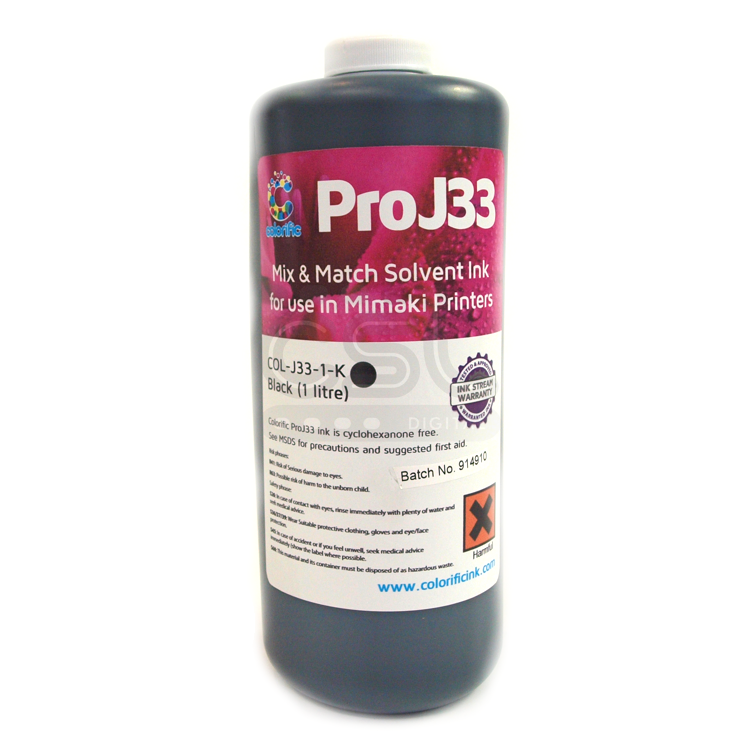 Colorific J33-Series Inks are designed to be an easy conversion for users of Mimaki large format digital printers. 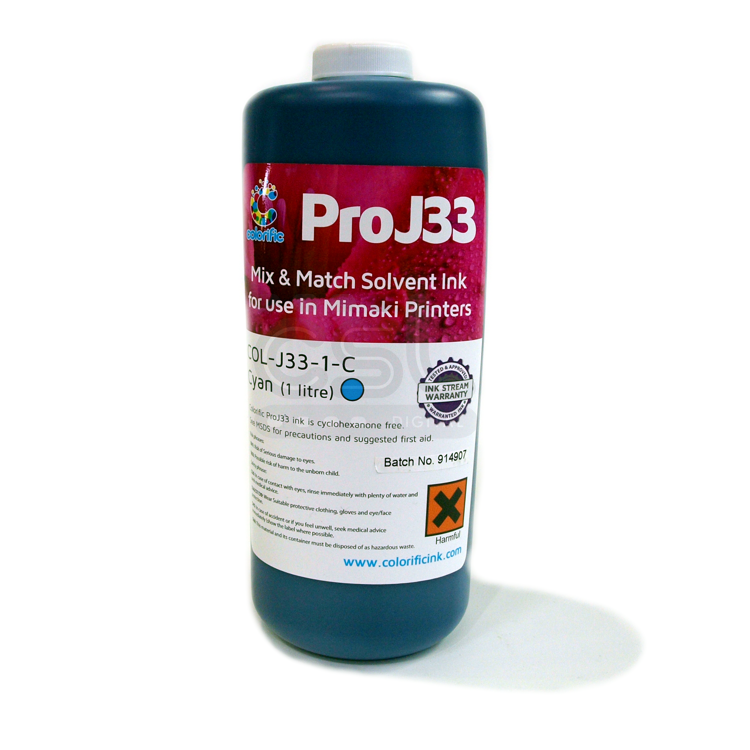 A major advantage to potential users of Colorific J33-Series ink is the OEM colour match feature. 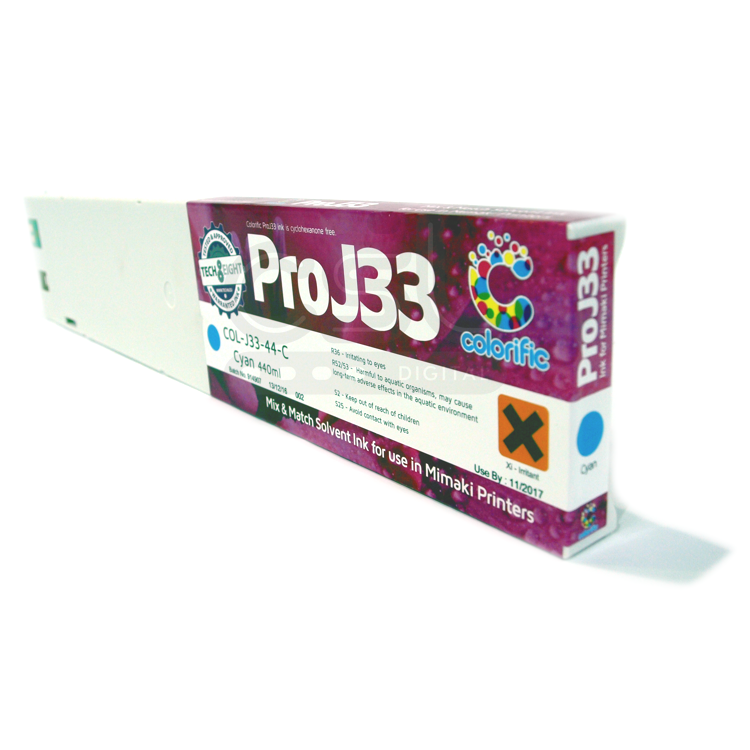 By matching the colours in this way, Colorific J33-Series ink enables the printer to utilise the existing OEM colour profiles. 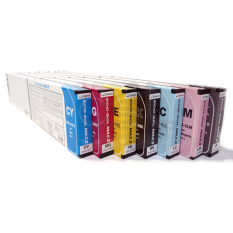 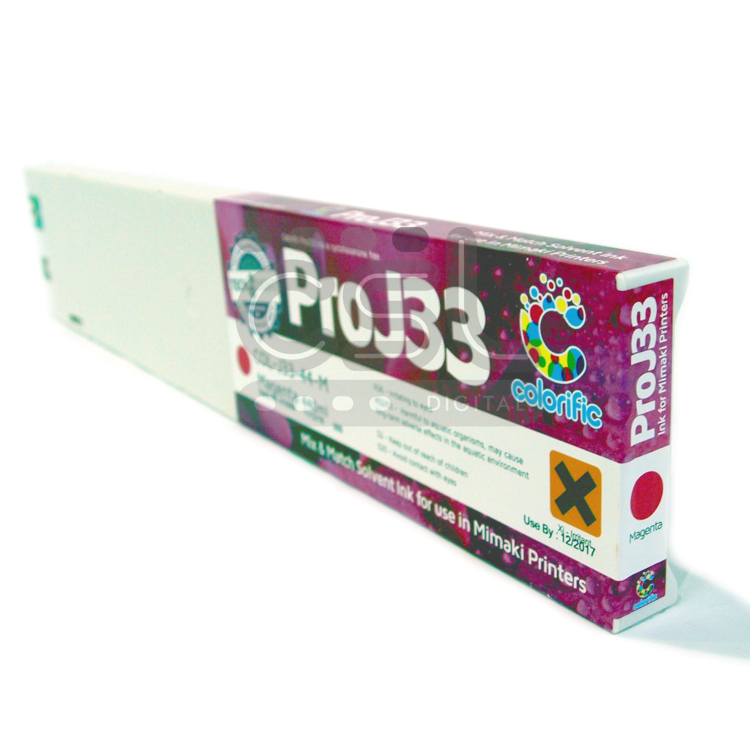 Colorific J33 is supplied in 440ml cartridges, 2 litre bags (compatible for the Mimaki Bulk Ink System – MBIS) and standard bulk ink, catering to the needs of OEM cartridge and bulk users in addition to third party bulk feed users alike. 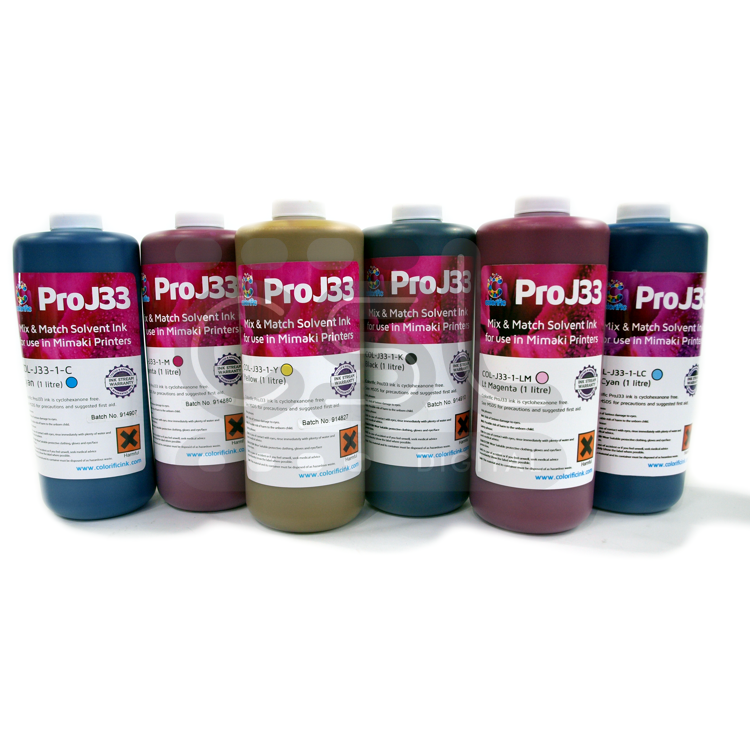 Reliability meets or exceeds that provided by the original OEM ink and extensive independent testing has proven Colorific J33-Series Inks to be less problematic than other commonly available third party manufacturers cartridge and bulk ink systems. 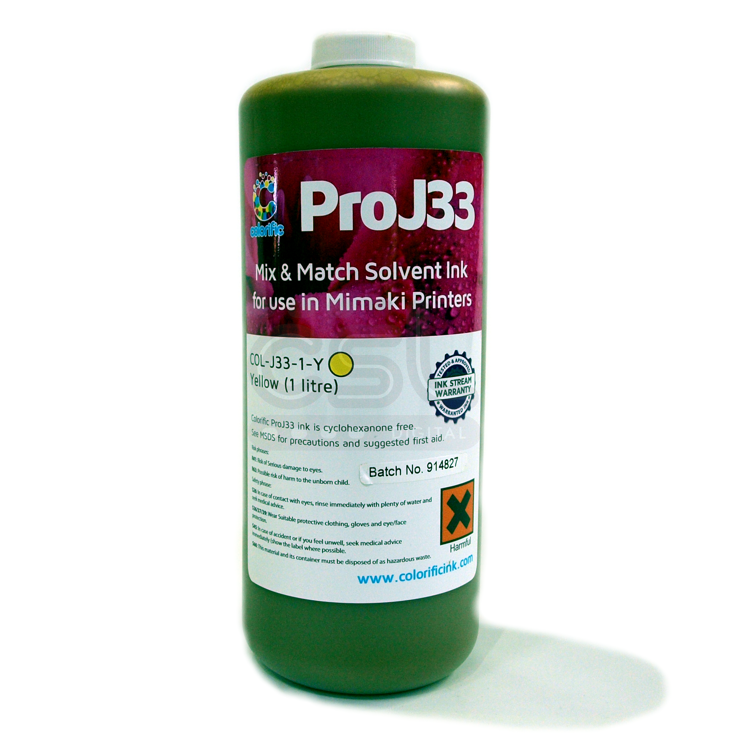 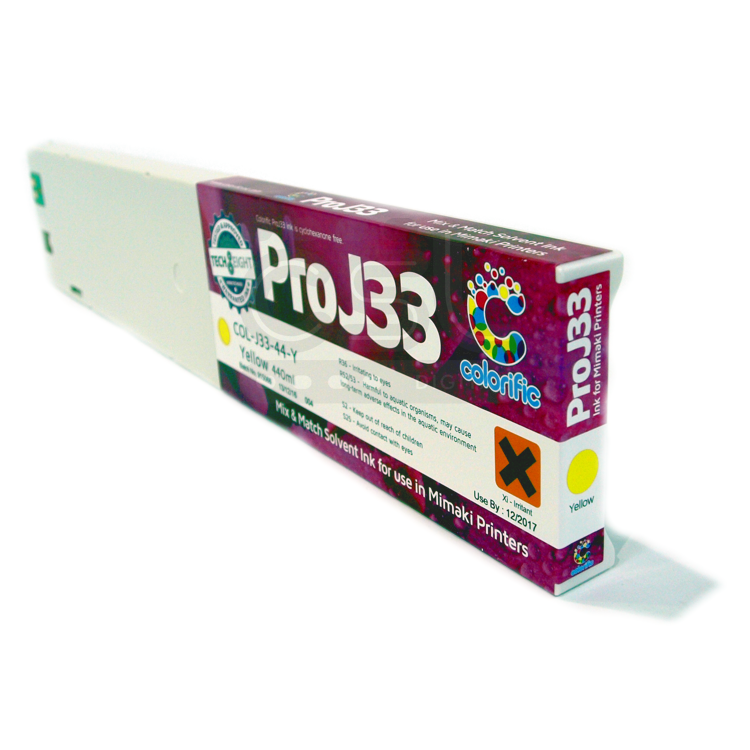 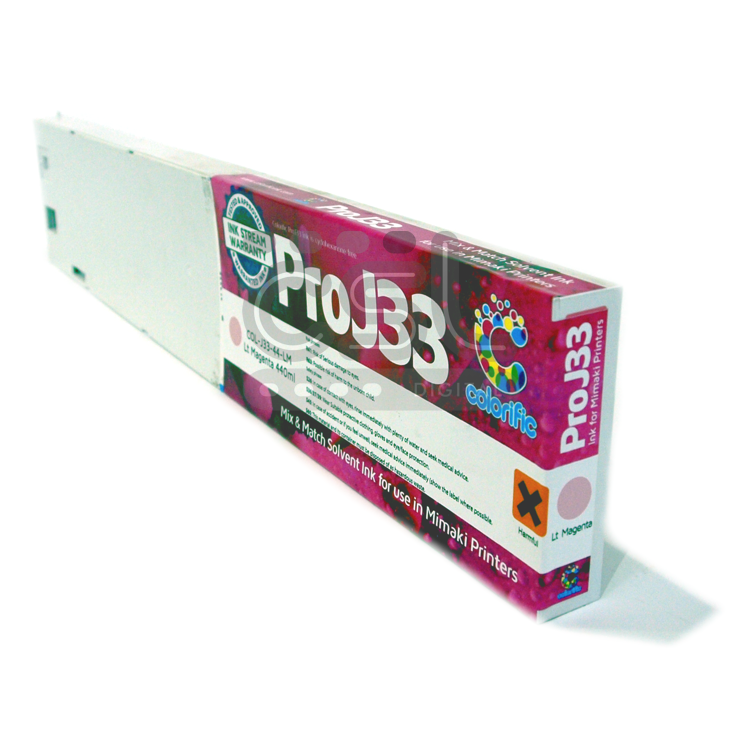 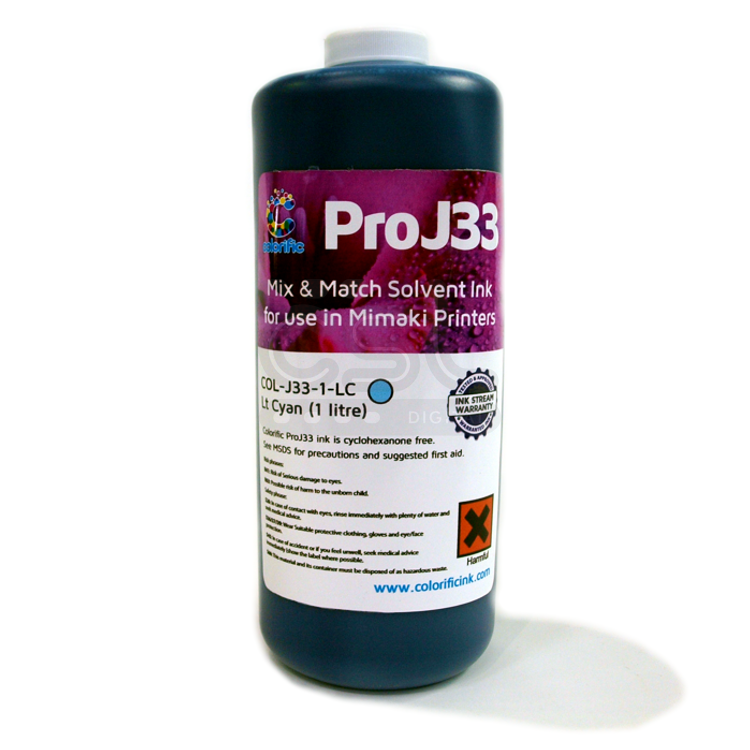 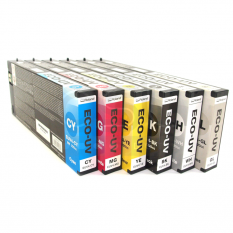 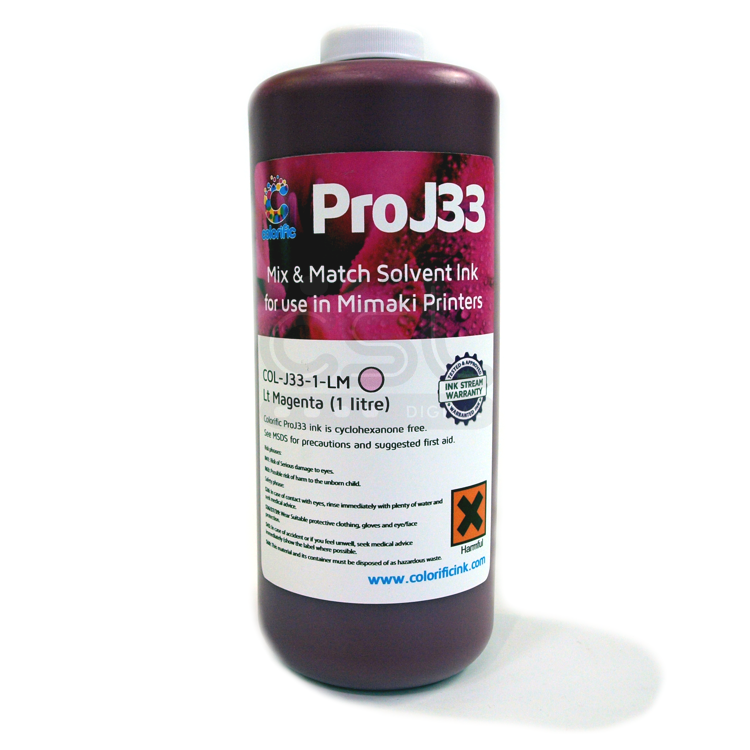 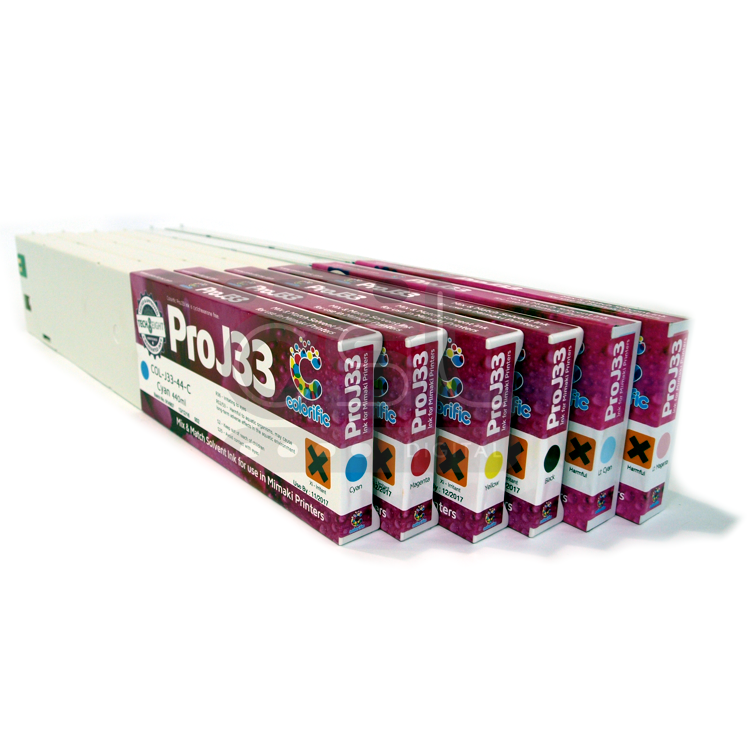 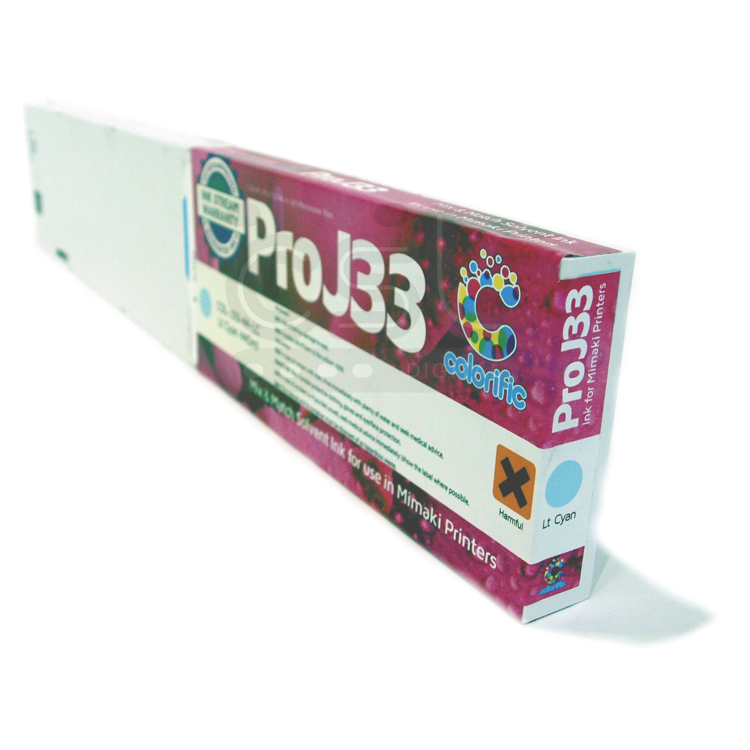 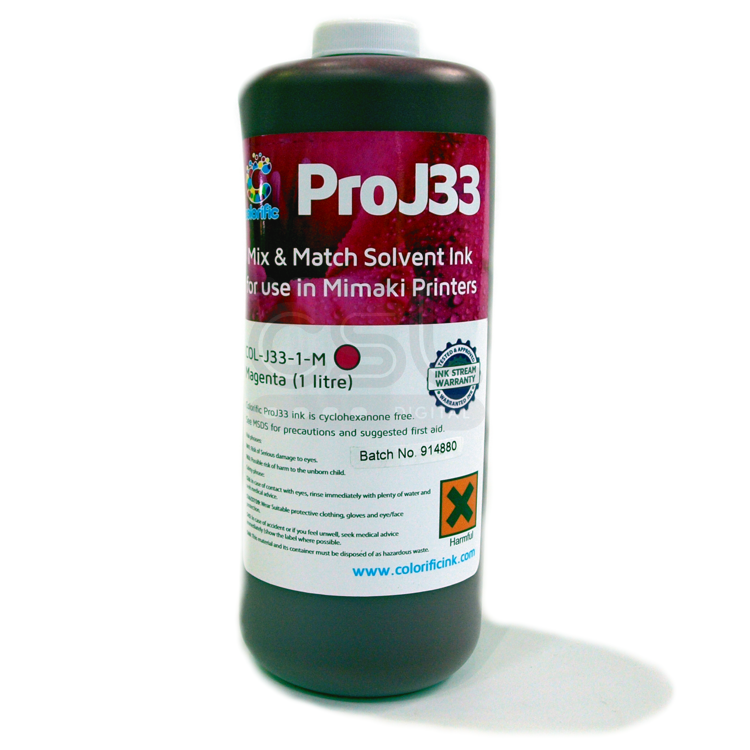 Colorific Pro J3 (SS2), ProJ5 (HS3) and Pro33 (SS21), inks available for Mimaki solvent printers. 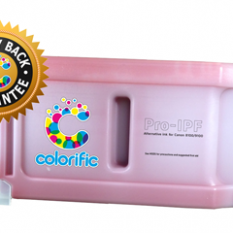 Colorific inks suitable for ES3 users also available, please contact us for more information.